Talking to Gina is a love letter to a dog who came into a family’s life and turned it upside down. Beautiful, moving, funny, poetic, it will make you laugh and cry. For every family who’s ever loved a pet and also a must-read for anyone who is thinking of getting one. Talking to Gina, a debut graphic memoir, has been based on hundreds of daily drawn records of Ottilie Hainsworth’s life. Her command of facial expressions and body language, of both humans and dogs, combined with a beautifully simple and fluid penstroke, and the direct, heartfelt epistolary text, draw the reader in to feel her love and pain. 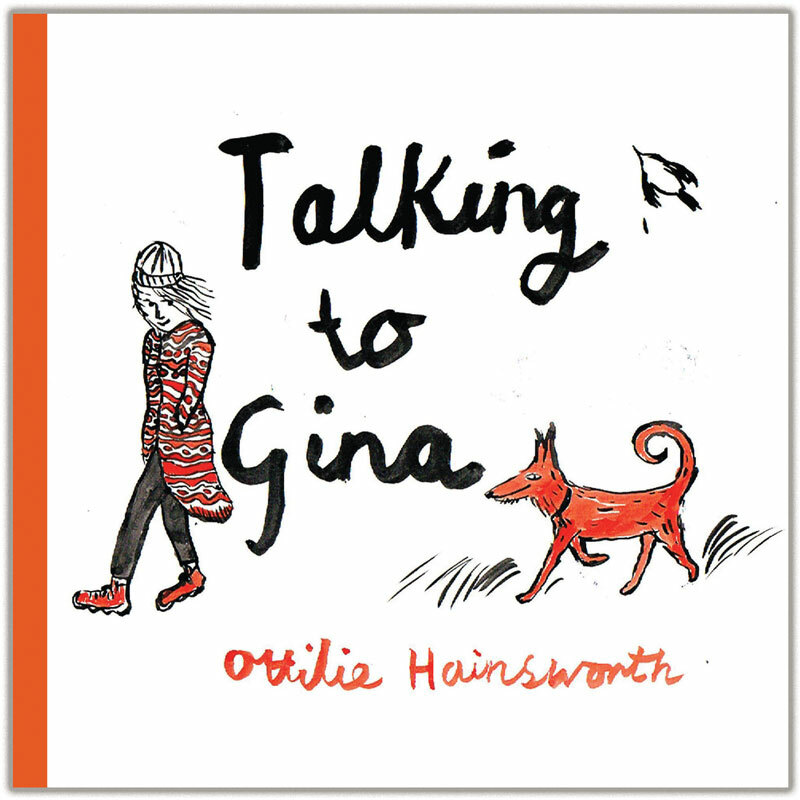 Beautiful in its simplicity and humanity, Talking to Gina is a warm, funny and profoundly affecting piece of slice-of-life comics. 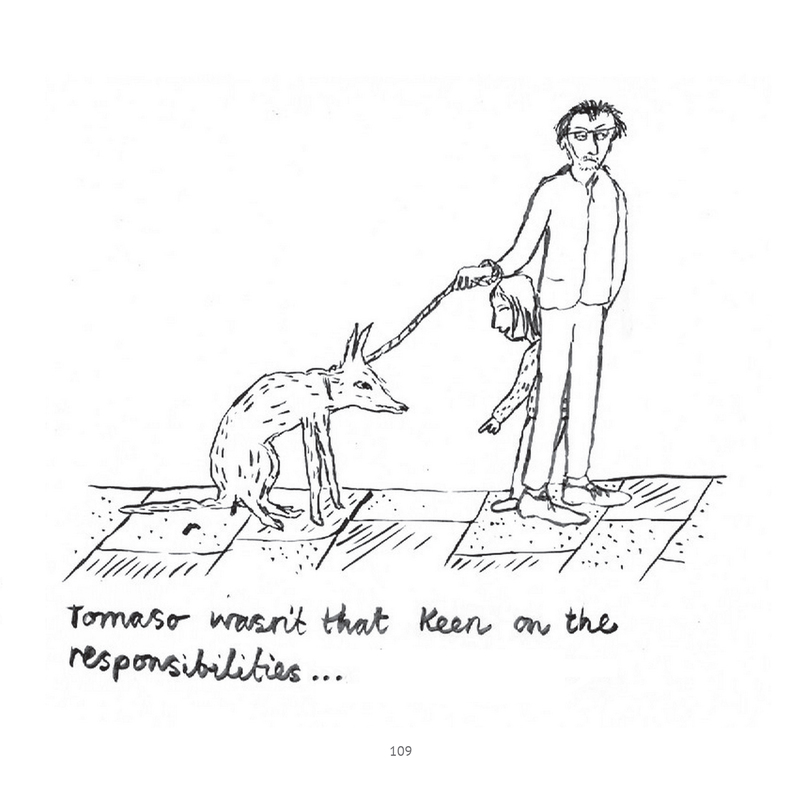 This utterly charming graphic memoir charts the life-changing experience of adopting a Romanian dog that looks like a fox – complete with the ensuing emotional roller coaster, expressively captured in drawings of humans and animals. 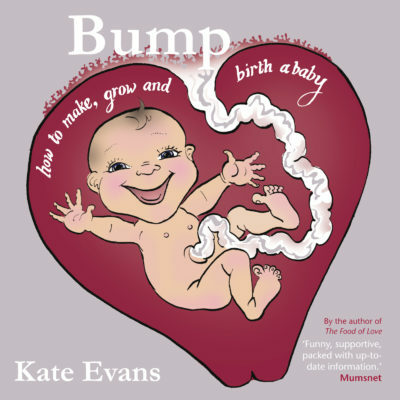 COMIC OF THE WEEK Funny, heartfelt, witty and devastating in equal measure. Hainsworth’s visuals are fragile and yet powerfully observed. One of the most genuinely touching comics you will read this year. A break from the graphic novel form, in a bijou and heartfelt missive to a dog. This is very much a full work of art, and one with pleasant depth behind its veneer of rough-and-readiness. Ottilie's style works perfectly, deftly catching the emotions in expressions, the body language of both humans and animal. This is a very warm, honest and touching book, and anyone who loves animals will recognise much here, the moments that make you laugh, the moments that make you mad, the moments where you just want to melt into a warm, fuzzy ball of happiness. Suitable for a wide ranging audience, especially dog owners and dog lovers, all of whom should be able to relate to it, as a light story or on a deeper level about the nature and consequences of bringing a dog into your home and life. A funny and enchanting story that clutches at the heart. Wonderfully touching…I’m still talking to Gina. A must-read for anyone who’s ever loved or been loved by a dog. Broke my heart in the very best way. Funny, poignant and just perfect. A loving tribute… beautifully drawn in every way, understanding the power of love for a dog. Talking to Gina is a tale of acceptance, assimilation and friendship that is funny, heartfelt, witty and devastating in equal measure. Hainsworth’s visuals are raw, scratchy and fragile and yet powerfully observed, bringing the human-canine bond to the page with a delicately expressive flourish. The largely one-panel pages also mean that the illusion of time takes on an accelerated pacing as we race towards what we know from the very beginning is going to be a bittersweet denouement. A poignant graphic novel about a scruffy-looking but endearingly loveable dog being taken in by a close-knit family, turning their existences upside-down and changing their lives forever. Sounds a little twee and mawkish doesn’t it? 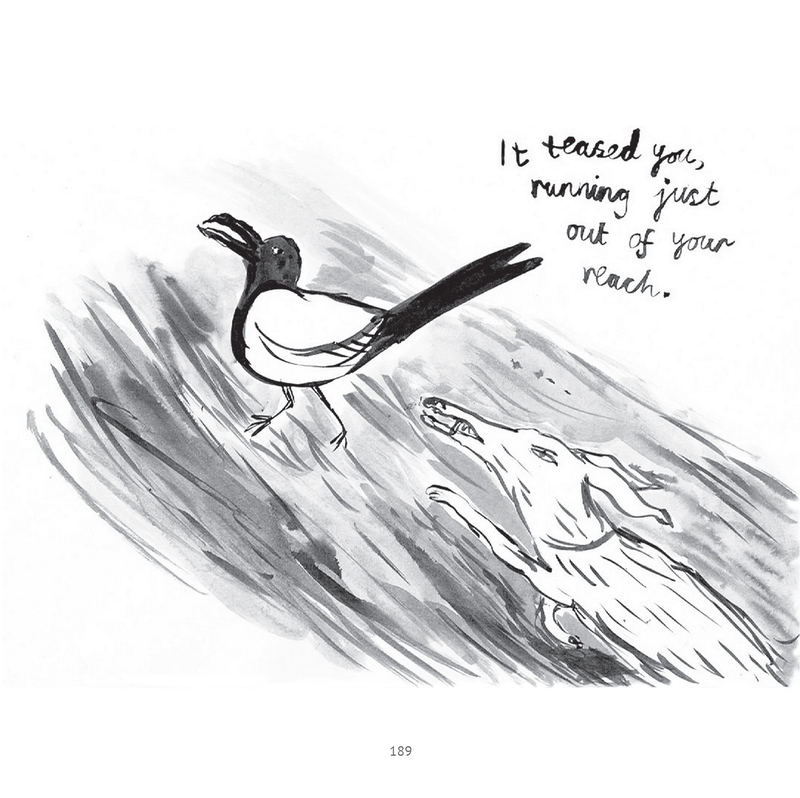 But trust us when we say that Ottilie Hainsworth’s beautiful story from the ever reliable Myriad Editions is neither of those things and is one of the most genuinely touching comics you will read this year. 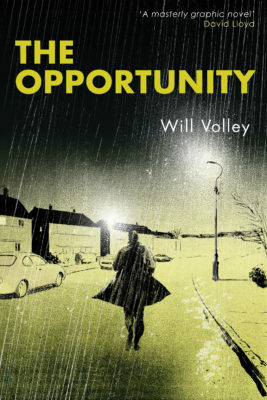 It’s a tale of acceptance, assimilation and friendship that is funny, heartfelt, witty and devastating in equal measure. 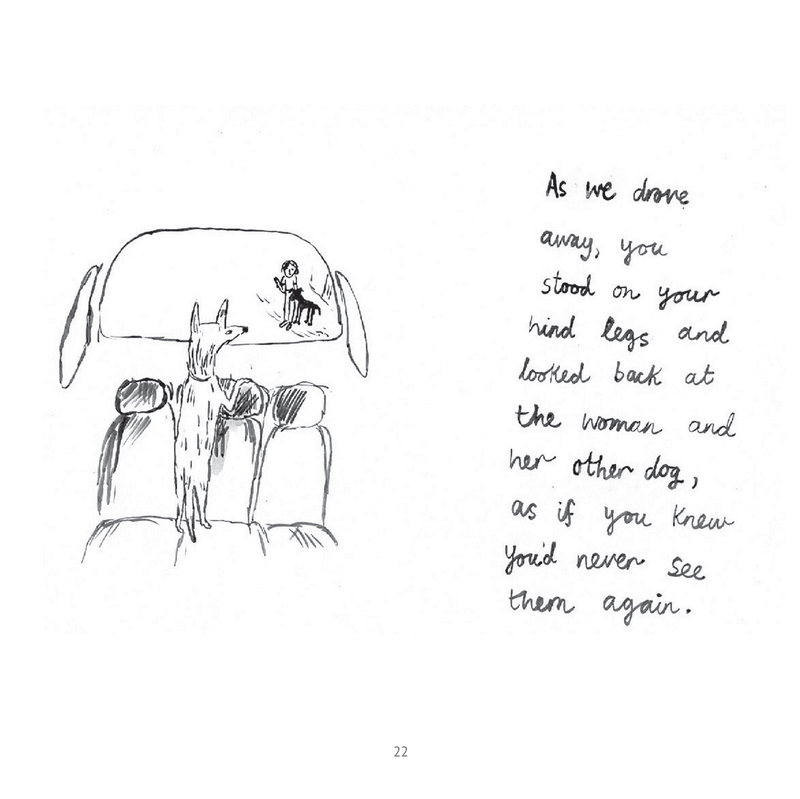 Hainsworth’s visuals are fragile and yet powerfully observed, bringing the human-canine bond to the page with a delicately expressive flourish. 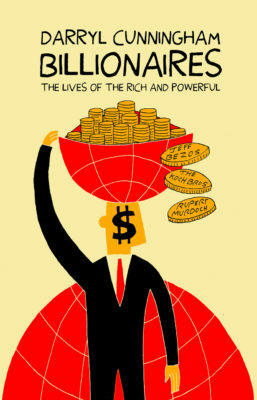 With Darryl Cunningham’s new book due soon this has been a banner year for Myriad and one that has exemplified just how diverse their current graphic list is. 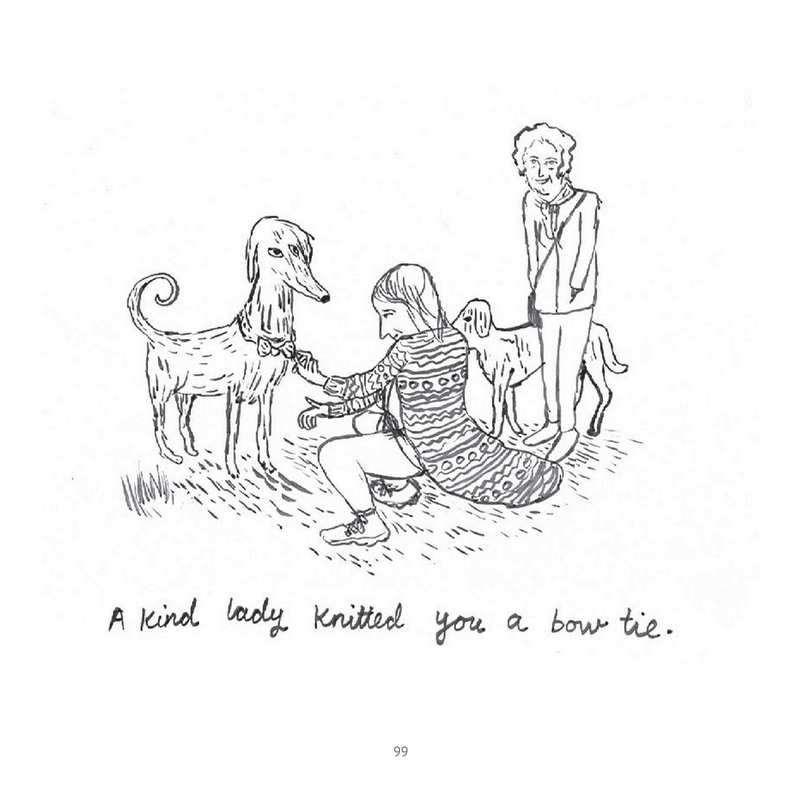 This is the tale of the woman absorbing the dog into her life and vice versa, and sending a love letter to it in a strictly poetic and warm, yet also no-nonsense, fashion. 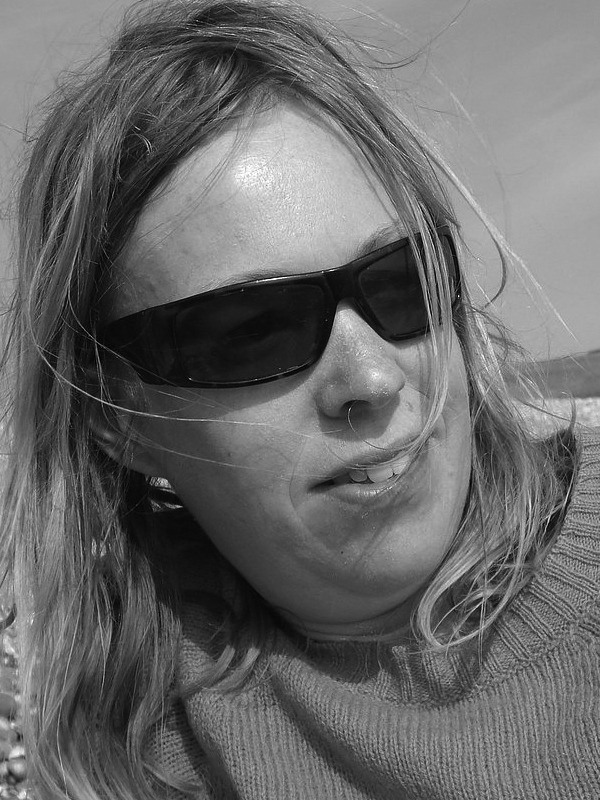 There's no sense of anthropomorphism – our author can work out what the dog is thinking and why she is behaving in certain ways, but we don't get put inside the canine head. This may well be too emotional ultimately for some, but that's the point of this book – a thank-you to a dog that became a vital cog in a family's life. Anyone who has ever shared their life and home with animals – dogs, cats, birds, rabbits, horses and many more – will already be aware of the enormous impact our furry friends can have on our lives, especially our emotional well-being, and how they become truly part of our families. And this is what Ottilie articulates here so beautifully and warmly that if had a tail I would be wagging it. There’s a huge amount here that anyone who loves animals will empathise with enormously and recognise. The new reality for both human and animal as they first start to share a life together, then the growing comfort with one another, as they get to know each other, a comfort that turns into more than love, into a bond that goes deep into your soul and leaves you always better for it. There are delights – meeting new people when out walking Gina, Gina herself making new doggy friends in the park, playing with the kids. Naturally it isn’t all happiness though, and again anyone who has lived with animals knows there are the worries – injuries, illness, and the sad, inescapable fact that most animals have a far shorter lifespan than we do. We know when we take them into our lives and into our hearts we will face hurting those hearts somewhere down the line, there’s no avoiding it, no avoiding the pain, the loss, the grief. And yet it’s still worth it, because they bring such light into our lives, warmth, love, lift us even on the darkest days. And astonishingly they continue to do that even after they’re gone – yes, there is pain, but mostly there’s a warm place left inside us that they touched that stays with us forever, it’s a truly remarkable gift. Ottilie brings this out with very simple but highly effective cartooning – this is more illustration than actual comics, an image per page with text – and her style works perfectly for the subject matter, deftly catching the emotions in expressions, the body language of both humans and animal; where a more detailed, heavier style would simply not carry the emotion so well as it does here. This is a very warm, honest and touching book, and anyone who loves animals will recognise much here, the moments that make you laugh, the moments that make you mad, the moments where you just want to melt into a warm, fuzzy ball of happiness.